What Happens If You Don’t Pump Your Septic Tank? If your home has a septic system, it’s very important for you to have your septic tank pumped on a regular basis. You should hire a company to pump your septic tank at least once every three years, and you should have your septic tank pumped even more often than that if you use a garbage disposal in your home. It’s the only way to remove all of the sludge that builds up at the bottom of your septic tank over time. There are a number of risks that you will encounter if you choose not to pump your septic tank regularly. For starters, sludge will build up at the bottom of the tank and take up valuable space. 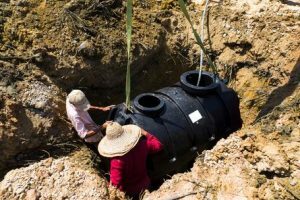 Most septic tanks are designed to be large enough to fit about five years’ worth of sludge in them, but you shouldn’t push your luck. In some cases, the sludge can actually exit your septic tank if the buildup gets to be bad enough, and when this happens, it will end up in your absorption area. It will prevent your entire septic system from working the way it should. Many homeowners unfortunately wait until it’s too late to call a septic company about having their septic tank pumped. Once sludge has started to move around to other parts of the septic system, it can be very difficult, if not impossible, to reverse the process. It could result in a homeowner having to replace an entire system. Therefore, as you can see, it makes a lot of financial sense to invest in regular septic tank pumping rather than risking the entire system. If you are due to have your septic tank pumped, Carolina Septic Pro would love to help you out. We offer a variety of septic services and are qualified to pump your septic tank out for you. Don’t wait until it’s too late and end up with huge problems on your hands. Call us at 704-626-6622 today to get your septic tank pumped.